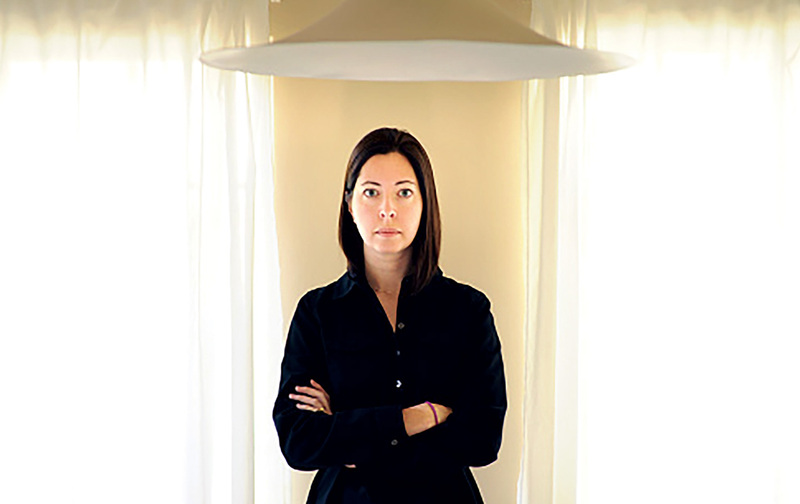 In her introspective nonfiction, the poet Sarah Manguso has made an art out of concision. But what do her essays leave out? Sarah Manguso is one of the severest writers working today. Because she’s a woman whose first two publications were poetry collections, critics sometimes frame her sensibility as “lyrical.” But they’re wrong: Her allegiance is to a far flintier ethos. Manguso established a reputation for tightly controlled writing with 2015’s Ongoingness, a stark, compelling examination of her obsession with diary-keeping that didn’t include any actual journal entries. (The New York Times reviewer said the “slim as a Pop-Tart” book “offers crumbs.”) Yet its distinguishing aspects—an almost brutal brevity and moments of distracting self-satisfaction—are present in her earlier writing as well. Her first book of prose, 2007’s Hard to Admit and Harder to Escape, consists of 81 entries that never extend beyond a page and mostly concern themselves with missed connections, frustrated desires, and minor existential horrors. “What will we do now that we know a word our teacher doesn’t?” she worries in No. 54, after her fifth-grade teacher incorrectly reads the definition of “wan.” In No. 17, she cries while repairing a broken espresso machine, “realizing that even if I haven’t convinced the others it’s part of me, I seem, at least, to have convinced myself.” You need never come to a Manguso book concerned that it will lack an exaggerated sense of self-importance. In the abstract, this obstinacy is admirable: Doesn’t the best art happen when creators refuse to compromise? But Manguso, like most writers and most people, doesn’t have an uncompromising vision so much as she has an ego, of which she is both highly aware and fiercely protective. “[W]hen people tell me I should try to write this or that thing I don’t want to write, I know what they mean,” she says in the first of her 300 “arguments,” after listing some talented acquaintances who use their creative gifts in ways that no one else enjoys. Again, it’s half assertion, half apology, and all defense: You probably won’t like this, she seems to be saying, but I’m doing it anyway. And this is only the first entry in the book! Some readers will relate to this sentiment, but more will not—and, again, Manguso is one step ahead of them: “Everyone considers some part of his own life a universally applicable model, and I’m no exception.” I’m not sure why she tells us these things, if not in the hope of inoculating herself against criticism. But admitting one’s faults isn’t a substitute for tempering them, and this tension, which once resided just under the surface of her books, has become 300 Arguments’ foreground. Manguso seems to take herself too seriously to respect her audience—and even her own writing—in the same way she respects herself. To accuse a personal-nonfiction writer of narcissism is, of course, predictable and boring. And it’s often redundant: To write about oneself is an unavoidably self-interested act, just as it’s unavoidably self-interested to do most of what constitutes any life, from eating and bathing to falling in love and reading other people’s books. But if narcissism merely denotes fascination with the self, it’s not automatically a character flaw, and it’s far preferable to relentless admiration of the self. Obsessive self-interest only becomes a problem when it fails to engage with criticism and to risk transformation. I’m not saying anything Manguso doesn’t already know. In The Two Kinds of Decay, her chronicle of the years spent struggling with a rare blood disease, she admits that she tends to dwell exclusively inside herself, that even her extreme illness did not necessarily turn her into a kinder or more reflective person. This cloistered sense of interiority can make any book hard to read, and The Two Kinds of Decay—which is far more visceral and terrifying than any horror movie—is difficult to get through at times, even as her austere prose exerts a hypnotic effect. Regardless, it’s impossible to withhold sympathy in the face of what she endures, just as it’s easy to extend sympathy for the loss of her friend detailed in her 2012 book The Guardians. But there are moments in both, and in her new book as well, when Manguso’s intelligence seems to work against her as often as it operates in her favor. Smart people can be masters at self-justification, so much so that even small admissions of defeat act like springboards to further self-satisfaction. If one falls into this habit, it becomes easy to confuse the shoring up of the ego—which we all must do at times, but should not do all the time—with a sort of brave honesty. As some reviewers have previously noted, Manguso is adept at the humblebrag, feinting toward self-effacement while firmly holding herself in a flattering light. The first instance of this shows up very early in 300 Arguments, when Manguso knows that she will lose a piano competition before she even takes the stage because the previous player was so good. She writes about the experience in an essay that gets her into a prestigious college: “I pretended my spasms of self-regard transcended the judges’ informed decisions.” It’s a confession of inferiority that instead demonstrates her superiority, as she spins a loss on a minor stage into an opportunity to perform tenacity on a much larger one. There are other examples, sometimes without the “humble” bit. She describes a piece of writing that comes to her in a dream as “perfect prose” and then quotes it: “‘Thank you,’ she said. Her simple answer concealed the truth.” In another passage, she writes: “When I think I should change, I remember that I’ve never really changed, might never need to.” She points to an unshakable commitment to the quality of her prose when she describes arriving at her “best sentence” with 10 minutes left in a college exam and writing nothing for the remaining time because she’s “[h]olding out for an even better one.” This is surely intended as an analogy for the sparseness of 300 Arguments, and she even might be poking fun at herself, but in the context of so much other self-congratulation, it’s off-putting and redundant. 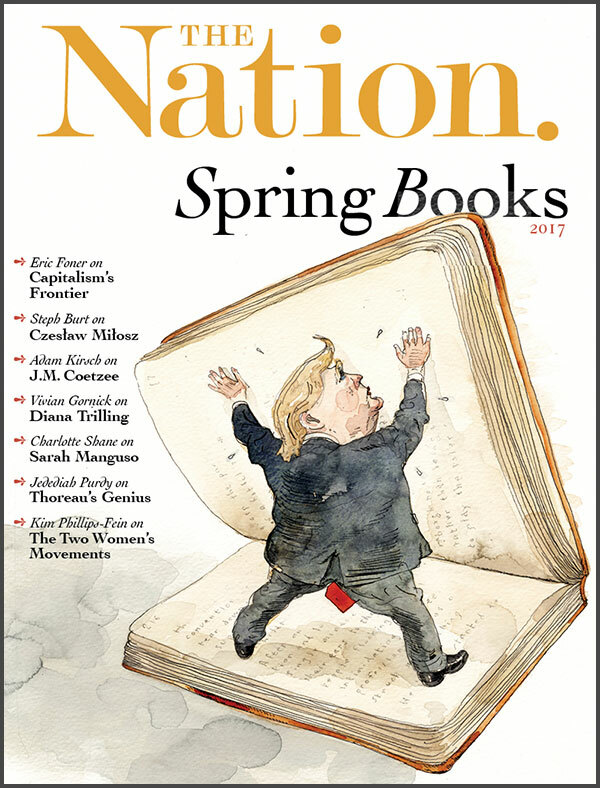 The arresting observations in 300 Arguments—and there are some breathtaking ones: for example, “Like a vase, a heart breaks once. After that, it just yields to its flaws”— are rare, and they beg for greater follow-through. I trust that the mind responsible for this evocative insight could say more on the matter worth hearing; I, at least, want to hear it. In The Two Kinds of Decay, Ongoingness, and The Guardians, there were unifying threads to help the reader navigate the potentially oppressive sparseness and self-indulgence. One could have faith in a process of accretion, of deepening. Without that organization, the crumbs stop resembling a trail and begin to look like… well, just crumbs. It’s a cherished belief among professional writers that the ultimate challenge is to write economically, that an abundance of words is a refuge of the less linguistically skilled. But this elevation of the succinct can be perverted into a belief that anything short is powerful. It also elides the fact that isolating a sentence can lend it legitimacy, creating an air of haunting possibility simply by virtue of what is left unsaid. Consider the aphorism about being thought a fool for staying silent and then opening your mouth and removing all doubt. If saying anything is a risk, then certainly saying more can be as well. But that is what we do as writers—and that is what we want as readers. When followed by silence, ambiguity may masquerade as meaningful suggestion, but an audience can be left simultaneously intrigued and clueless. I’d rather the speaker keep speaking so their idea is fully communicated, but Manguso may not agree. It seems what she most wants from other people’s writing is for it to get out of her own brain’s way. “Sometimes a single sentence can be enough to fill the imagination completely,” she writes. “And sometimes a book’s title is enough.” I’ve never understood those who try to wring satisfaction out of looking at a dessert instead of actually eating it. By virtue of its length, 300 Arguments, like the more luminous Ongoingness, invites the suspicion that much has been left out of its pages. Occasionally, the internal missives stand alone, divorced from a self, in no need of context, like fortune-cookie sayings you might tuck into your wallet or pin near your computer: “Difficulty becomes familiar, at least, if no less difficult.” “Lack of effort poorly conceals lack of ability.” “I look at young people and marvel at their ignorance of what’s coming, and the old people look at me.” But others—“The most likable person you know just might be a sociopath”; “No one can steal something that’s too small to see”; “Everything has to be paid for, especially money”—can feel underdeveloped and overly familiar. I don’t agree, for example, that “Perfect happiness is the privilege of deciding when things end,” but maybe I would if I were given an example. I’m not sure what it means that “There are no memories, just artifacts. And they’re all lying,” but I’m ready to learn more. When Manguso writes, “I never joined Facebook because I want to preserve my old longings. And also yours,” is the you in that sentence a person presumed to be longing for her? Is the you supposed to be me? I don’t know, and I can’t know, so the lines have no resonance. Sometimes one simply needs to say more. 300 Arguments feels conceived in the spirit of a question: Why bother with the long bits if you can just go straight to the pull quotes? As a habitual puller of quotes myself, I understand the impulse. But Manguso’s answer is less than satisfying: One realizes that, at least in her new book’s case, you usually can’t. Context exists for a reason, and that reason isn’t because most writers aren’t skilled enough to do without it. Context is preparation for connection. It is a concession to the reality that most ideas, and most experiences, need some description and sense of origin and place if they are to be fully shared. Without it, 300 Arguments feels more like an author’s notebook than a completed work, a start rather than an end. Charlotte ShaneCharlotte Shane is a co-founder of TigerBee Press and the author of Prostitute Laundry.